Defending the recent defence pact with Riyadh, foreign minister Dr AK Abdul Momen said that the accord was signed as part of Bangladesh's peace-building efforts. This deal has nothing to do with war, but aims to ensure peace, the minister told the FE recently when asked about the criticism against the treaty by lawmakers in parliament. Many misunderstood the issue, it is a non-combative pact, said the minister. 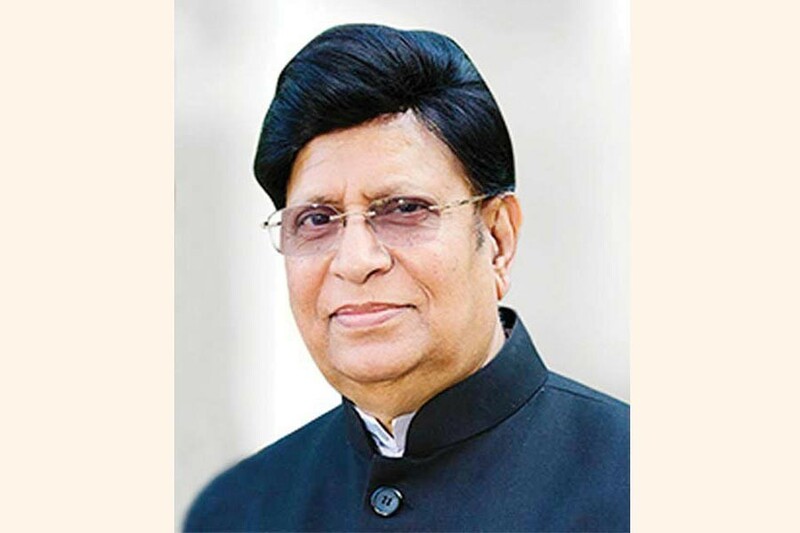 Recently, speaking in parliament, Rashed Khan Menon and Fakhrul Imam demanded a statement from the foreign minister on whether the signing of a "defence pact" between Bangladesh and the Kingdom of Saudi Arabia is not contradictory to the constitution. Bangladesh signed a Memorandum of Understanding (MoU) with Saudi Arabia in this connection. Bangladesh Armed Forces Division Principal Staff Officer Lt Gen Md Mahfuzur Rahman and Saudi Armed Forces Deputy Chief of Staff Lt Gen Mutlaqbin Salim Al-azaima singed the MoU on behalf of their respective sides at the Saudi Ministry of Defence in Riyadh on February 14. "The two countries will help each other in the fields of military training, practice and education, military information and intelligence, defence industry, supply and maintenance, military treatment and research, sports, social and cultural activities, science and technology, marine security and combating piracy," the foreign minister said about the deal. The armed forces of the two countries will also share experiences and conduct visits to one another," he added. Mr Menon had earlier told parliament the state shall base its international relations on the principles of respect for national sovereignty and equality, non-interference in the internal affairs of other countries, peaceful settlement of international disputes, and respect for international law and the principles as per the Article 25 of the constitution. These principles are enunciated in the United Nations Charter as well. "For whose interest will our army sacrifice their lives in the name of clearing mines that the Bangladesh Constitution does not allow?" he questioned. Supporting Menon, Jatiya Party lawmaker Fakhrul Imam questioned the signing of the deal, bypassing parliament. Noting that parliament was the main centre for discussing any issue, he said, "What would have been the problem if it was discussed here?" Under the proposed deal, Bangladesh will deploy two battalions of troops numbering some 1,800 for defusing and removing mines along the border of war-torn Yemen. During his recent visit to Saudi Arabia in early February, Bangladesh army chief Gen Aziz Ahmed said Bangladesh named four military officials, including a brigadier general, for joining the Saudi-led Islamic Military Counter Terrorism Coalition (IMCTC). The Bangladesh Army would continue its cooperation with the coalition. He said he discussed with Saudi officials engaging members of the Bangladesh Army engineering corps in building various civil and military infrastructure and development work in the KSA. He also proposed engaging experienced doctors of Bangladesh Army in different areas of Saudi defence forces. He said that Saudi Army, Navy and Air Force officials were receiving training at Bangladesh Military Academy, National Defence College and Defence Services Command and Staff College.